Women’s Spaces Radio Show on KBBF-FM 89.1 with host Elaine B. Holtz and guests Shekeyna Black on Peace & Justice Centers annual celebration Building Bridges in the Community and Dr. Jacqueline Lawrence on her musical The Spirit of Us retracing the path to freedom for Black slaves, broadcast on 4/18/16, has been uploaded to the web archives. Guest 1. Shekeyna Black shares with us events coming up at the Peace & Justice Center, including the annual Awards Celebration and Fundraiser this Saturday evening, April 23 from 5-10pm. Shekeyna also had some live theatre to announce. Bob. A Life in Five Acts, Directed by Sheri Lee Miller at Main Stage West in Sebastopol, May 6 through 22. Women’s Spaces Radio Show on KBBF-FM 89.1 with host Elaine B. Holtz and guests Felicia Accomazzo and Elle Yung on the upcoming Elevated Cannabis Compliance Conference, broadcast on 4/11/16, has been uploaded to the web archives. Guest 1. Felicia Accomazzo shares her journey with cannabis first as a casual smoker for relaxation then a few years later as a patient. 3 years ago at the age of 30 she was found to have a rare brain tumor and she decided to treat herself with cannabis extracts while being monitored by her neurologist. The California Compassionate Use Act of 1996 made it legal in the state to use cannabis for medical purposes. The latest scans have pleased the neurologist because of the shrinkage of the tumor. Felicia with her organizational skills and healing passion has now teamed up with Mercy Wellness in producing the Elevated CCC conference this weekend, April 16-17 in Rohnert Park, CA. Guest 2. Elle Yung shares her journey with cannabis and the concern of dispensaries and patients and growers over the legal requlations that have recently been legislated in California and signed by the Governor into law as the Medical Marijuana Regulations & Safety Act (MMRSA). The new law came almost 20 years after the Compassionate Use Act was voted into law by California citizens. What started as a seed dream of the folks at Mercy Wellness developed rapidly into a well-responded project that attracted speakers of of educational value to all involved, including Assemblyman Jim Woods, who authored one of the 3 bills combined in MMRSA, and Lynnette Shaw, who opened the very first licensed California dispensary in 1997 and was recently vindicated in a federal appelate court decision..
Women’s Spaces Radio Show on KBBF-FM 89.1 with host Elaine B. Holtz and guest Marcia Singer of Love Arts Foundation on sensing soul information, broadcast on 4/4/16, has been uploaded to the web archives. 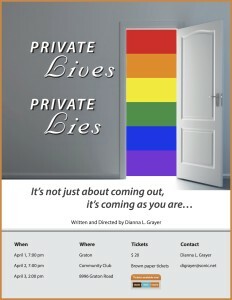 Women’s Spaces Radio Show on KBBF-FM 89.1 with host Elaine B. Holtz and guest Gloria Robinson of Petaluma Blacks for Community Development and Dianna L. Grayer on her new play Private Lives, Private Lies, broadcast on 3/28/16, has been uploaded to the web archives. 1. Georgia Robinson , co-founder of Petaluma Blacks for Community Development. Technical difficulty with the telephone line prevented an interview with Sherry Glaser. Her new one-woman play will be on stage Friday April 1st at the Finley Community Center in Santa Rosa, CA.at 8pm. It is a benefit for American for Safe Access (ASA) Sonoma County Chapter. Author and star of FAMILY SECRETS – OH MY GODDESS! and other irreverant solo works, Ms. Glaser has written her newest piece about life behind the cannabis curtain. Through the eyes of some of her beloved characters; Miguel – Grandma Rose and Bev Fisher we given insight to the struggles of regular people just trying to feel sane in a world gone mad. Sherry also explores her life as a potwife and the raid on Love In It Dispensary that changed her life forever. Guest 1. Georgia Robinson has been active in Sonoma County since moving from her childhood home in segregated Miami, Florida. Gloria is one of the first appointed members to the County Commission on the Status of Women, where she coordinated the Women of Color Task Force. She co-founded Petaluma Blacks for Community Development. Gloria talks of her journey as child, wife, mother and citizen in becoming and remaining a community activist. Guest 2. Dianna L. Grayer, PhD. applies her professional knowledge and passion to help people of the LGBT community in relationship matters and to shares her insights with the greater community in her new play: Private Lives, Private Lies, that will be performing this coming weekend April 1st, 2nd and 3rd at 7pm at the Graton Community Center in Graton.